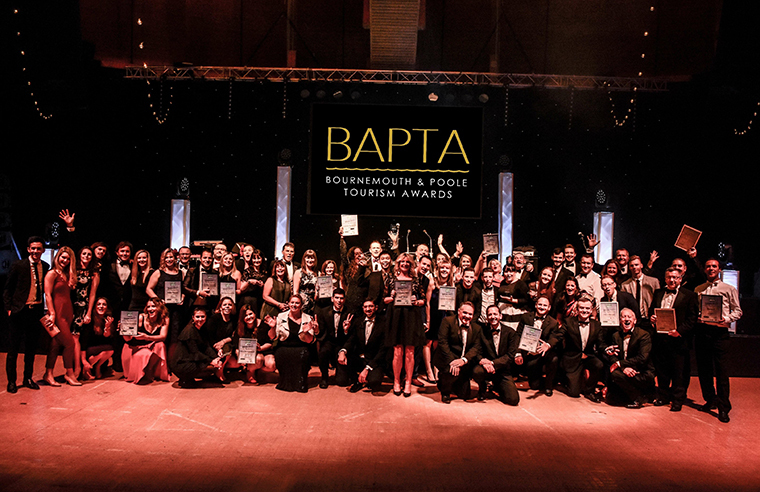 The closing date is fast-approaching for the BAPTA's, the Bournemouth and Poole Tourism awards that recognise tourism businesses and individuals from across the BH postcode region. A must in the business event calendar, the BAPTA’s have seen year on year growth and with 2018’s event set to be bigger and better than ever, you only have a few more days to enter. With the finals at Lighthouse in Poole, the awards offer businesses great chance to shout loud and proud about their successes, and to celebrate the achievements and the efforts of their hard-working teams who contribute to making them successful. You can nominate too – have you been impressed by customer service, been ‘wowed’ by a meal in a local restaurant or feel an independent retailer deserves special recognition?